Knitting is happening. I swear it.I know; anyone who has been following along has been expecting a status report on my quest to Knit American, or at least, some evidence that I have been knitting, not just eating. So here is exhibit A: sleeves, knitted in New York City. They will eventually belong to an Owls sweater. The success of my Lyttelton has stoked my ambition to knit more Kate Davies designs. 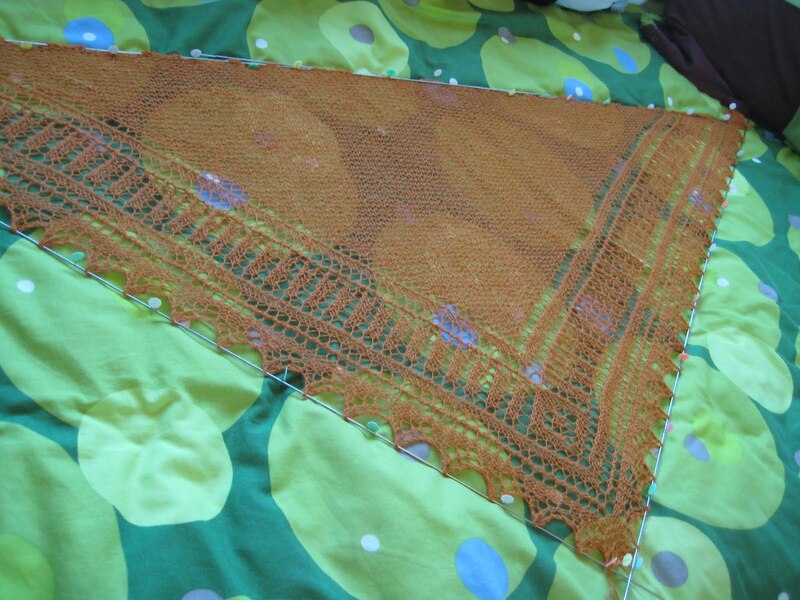 Exhibit B: a Brandywine Shawl. Chart 1 of this shawl did not click. I was reading the directions rote, not giving myself the opportunity to really watch the pattern unfold row to row. Upon hitting Chart 2, I finally did, figured out the flow of the pattern, and it took off. 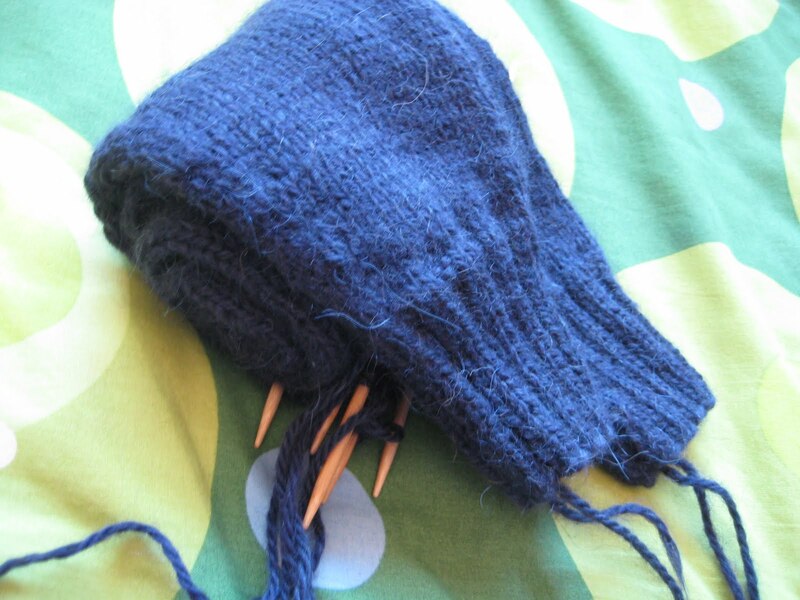 A large garter stitch center section helped move things along. If homework in the form of virtual repositories does not get messy as it did last week, more knitty posts will follow anon!